Are Professional Teeth Whitening Gel Solutions Right for Me? Whitening gels have come a long way over the past few years, and for many people this solution seems to be a good one. However, the thing that you need to remember is that with gels, or any type of product sold at a pharmacy or supermarket, these are short term, and very temporary solutions. You should not use a gel that has been purchased from the store and expect to have a longer term outcome. This is where professional whitening processes from a dentist that engages in Cosmetic Dentistry Veneers or other forms of Cosmetic procedures steps into the picture. Let’s face it, tooth whiteners have taken over the shelves at our local drugstores. What started out with a few brands carrying simple “strips” has now turned into a multi-billion dollar industry. 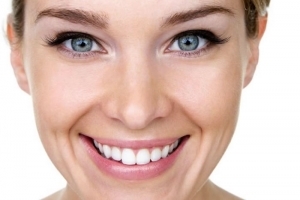 Yes, Americans want white teeth and are willing to pay good money to achieve this result. Veneer teeth, or specific brands of veneers such as Lumineers are recognized as the gold standard for teeth whitening. Not only do they provide an extremely long-term solution, but more often than not they can be completed within 2 dental visits over a 2-4 week period of time. There are many different types of materials that can be used to construct veneers, so you should talk with your dentist about the options that make the most amount of sense, based on your time-frame and budget. 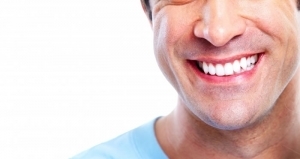 While dental veneers cost more than say, teeth bleaching, the results last for a significantly longer period of time. Laser teeth whitening has become very popular over the past 5 years or so, mainly due to advancements in both laser technology as well as the way in which the chemicals are being administered in combination with the lasers. While this solution costs a bit less than veneers, the patient needs to bear in mind that it is still your porous teeth that are being whitened, so the results generally don’t last as long as a veneer solution would last. Cosmetic dental procedures have come a long way. If you wish to have a brighter and better overall smile, now is the time. From bonding, to tooth colored crowns, to contouring and reshaping of the teeth and gums, there is literally nothing that can’t be done with a cosmetic dental procedure to improve a smile. Do you have a chipped or cracked tooth? In this case, there is no need to have an entire implant, just simply have a dentist execute a bonding procedure. Bonding fills in any chips or cracks with a tooth colored material, lasting several years. In the past, everyone seemed to opt for gold crowns. This isn’t the case any longer. Folks are more concerned with aesthetics, opting for tooth colored crowns over the once-desired gold color. If you have a tooth that requires some form of restorative procedure, crowns are the best and longest term solution. Do you require some teeth straightening, but braces aren’t necessarily needed? Perhaps one or two teeth are a bit crooked? In one visit to the dentist you can get this taken care of with contouring or reshaping. We’d like to take a quick moment to point something out. If you are having any type of dental problems like now, such as the onset of gingivitis, or any form of tooth decay, requiring attention; it is mandatory to resolve these issues prior to executing any form of cosmetic dentistry. We’ve been serving the Sugar Land community for years. We have been building our dental practice here in the neighborhood, looking after our patients’ family oral healthcare with a great deal of pride and commitment. We invite you to continue to read all of the content here within our site, then jump on over to the About Us page and schedule your initial consultation. We will sit down and talk with you and plan out a long-term plan to not only address any cosmetic dental questions you have, but also a longer term oral healthcare plan. We’re looking forward to meeting with you!